Sometimes, it seems like Ai Weiwei just cannot catch a break. As we discussed recently, he had his passport confiscated back in 2011 when he was arrested by the Chinese government as part of a crackdown on suspected political activists. Ai, who is a vocal critic of the repressive policies of the Communist regime, is admittedly a political activist, in and of itself a brave act within the confines of China. At long last, earlier this year, his passport was finally returned, an apparent victory for the long suffering artist, who missed any number of his own shows and openings due to the effective travel ban. 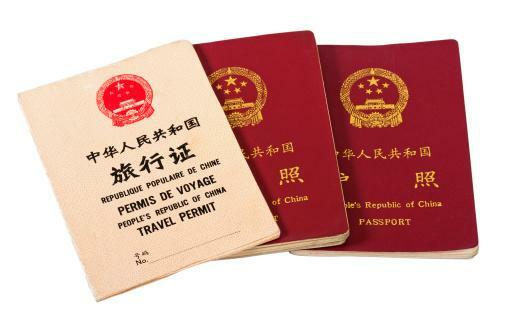 An apparent victory for freedom and cultural expression in China, some humans rights lawyers both in and outside China cautioned that travel may not be actually as simple as having a passport, but the sentiment within the country also appears to be swinging in his favour. So what sort of a shock would it be to be given freedom of passage by the Chinese government, only to have your visa application rejected by the British government? Extremely unbelievable and frustrating, no doubt. Hoping to visit London in September for the opening of one of his shows, the first outside of China he has been able to attend in 4 years, his application for a six-month visa was rejected and he was granted a mere 20 day business visitor visa. The grounds for the rejection are almost laughable: some overzealous bureaucrat determined that Ai had failed to disclose a supposed criminal conviction in China - something that is simply flat out wrong. The rejection letter cited a "matter of public record that you have previously received a criminal conviction in China, and you have not declared this”. The problem, of course, is that Ai was never charged, let alone convicted. He was detained on suspicions of a variety of trumped-up charges, which were never actually filed. One of the most enduringly popular genres among both art students and the general public is the exquisite bizarreness that is surrealism. While there are a number of major figures within the movement that capture the popular imagination - think of the wild popularity of Salvador Dali, for instance - today we're going to look at another titan of surrealism: Rene Magritte. Both consummately skilled artist and clever visual joker, Magritte was a Belgian-born surrealist who helped oversee the founding of the movement as a whole. 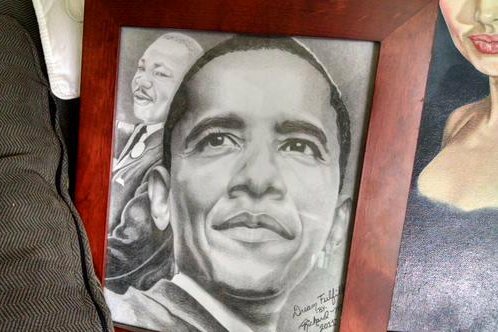 Many of his images are iconic and can be found today, still being taught in art classes and adorning many a wall, both in galleries and in private hands. Magritte's surrealism was an evolving practice, as he originally started out as a more mundane painter and eventually grew to adopt and embrace the surrealist methodology. Apples, bowler hats and umbrellas are recurring images in his work, but this pattern in and of itself is something of an illusion, and arguably is more about the apparent banality of the middle-class reality he lived in than something more deeply symbolic (though no doubt at least someone has made that argument successfully). Regardless, they are undoubtedly deeply associated with his work and life, especially in the artistic world, and appear frequently in his paintings. 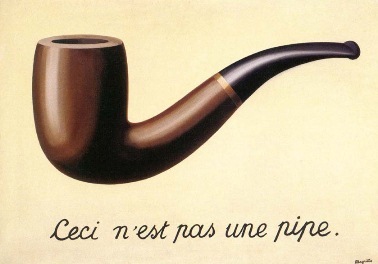 Magritte originally worked as a commercial artist, unlike many of his more flamboyant surrealist peers, and it can be argued that this is partly responsible for the way that he deviated from most other surrealists (think again of the extravagant Dali, and his grand gestures). Once he finally moved on to the surrealist genre, his popularity began to take off and he began to become the legend we know today, arguably the most important Belgian painter of the 20th century. One of the most powerful things about his work is how it drives us to question; both to question what is in the image in front of us, and our own reactions to it, and by extension, to reality itself. In his own immortal words: "My painting is visible images which conceal nothing; they evoke mystery and, indeed, when one sees one of my pictures, one asks oneself this simple question, 'What does that mean?' It does not mean anything, because mystery means nothing, it is unknowable." Sometimes, it still seems like he's playing jokes on us - thank goodness for that! It's almost a staple of daytime television, and the bread and butter of shows like Antiques Roadshow, among others: Joe or Jane Average discovers that the coffee table they've been using for years is actual an heirloom piece from a famous furniture designer, or the candlesticks they inherited from their mother were once owned by some member of the English royal family, and is worth quite a pretty penny. Typically, finding something with a valuations in the thousands is remarkably rare, and finding something even more valuable almost never happens. So imagine the shock of a Bonham's auction house art appraiser who was making a routine examination of a client's collection when she stopped in the kitchen, and spotted a painting being used as a bulletin board - one that turned out to be worth an estimated $1.5 million dollars! 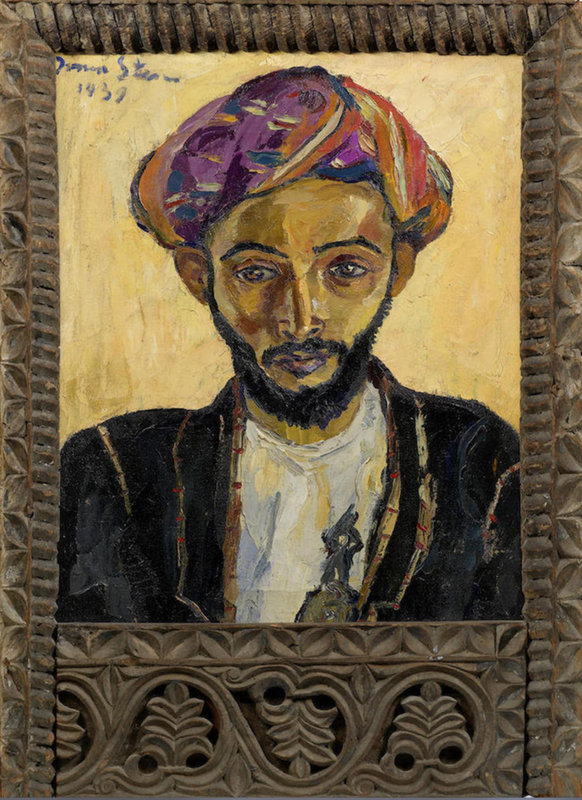 The piece, 'Arab in Black' by prominent South African artist Irma Stern, is not just a remarkably valuable piece of art, however. Back in the 1950 in South Africa, Nelson Mandela had been arrested for high treason, an offense which carried the death penalty. 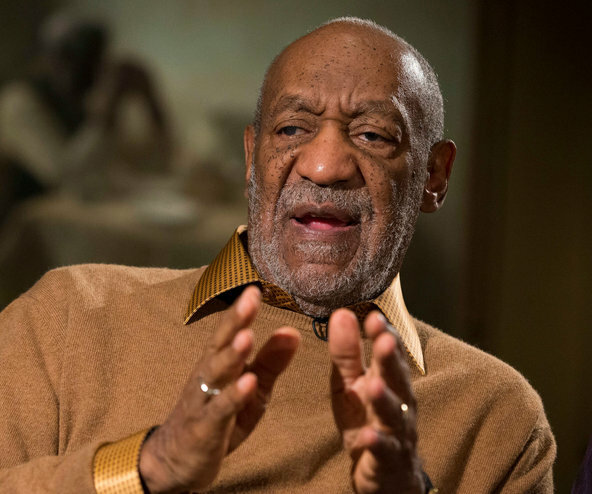 Though he was eventually completely cleared, the cost of maintaining a legal defense for such a high profile charge is naturally commensurately high, and Stern donated the painting to an auction designed to raise money to help pay for his legal counsel costs. The buyer at that auction eventually moved to the UK and settled down, and gave it to the current owner (who wishes to remain nameless). The auction house is naturally trying to make some publicity hay with this element of the story, billing it as the painting that saved Mandela's life, which is something of an exaggeration. Nevertheless, as in all of these hidden treasure stories, the value of the piece is only ever enhanced by the history and provenance of the piece - and who knows, maybe they're even correct! It will be sold this September in London. Hannah O'Leary, the Bonham's appraiser who discovered the painting, explained, “I spotted this masterpiece hanging in the kitchen covered in letters, postcards, and bills. It was a hugely exciting find even before I learned of its political significance.” Maybe it's time to go through all your items that you take for granted around your home - you never know what kind of masterpiece might be turned up by re-examining things in a new light! It's been something of a rollercoaster ride for Chinese artist and activist Ai Weiwei over the past few years. He's launched numerous art exhibitions around the world, had documentaries made about him and his struggles with the Chinese government, and been generally celebrated around the world as a rising star in the art world, but back home, the Chinese authorities have seemed less than enamoured. After being temporarily disappeared back in 2011 by the secret police, questioned repeatedly and subjected to psychological tortures, he was finally released - but without his passport. It was kept by the government to ensure that they could keep an eye on him, and he couldn't flee the country and become an external force for destabilizing the ruling leaders. It was a difficult time for the Communist regime, which was in the middle of a serious crackdown on political activists. There was a huge outpouring of support on social media as Ai posted his passport selfie, both from within China and around the world. Even some of the Chinese tabloids that are typically pro-Beijing were questioning whether or not it was time to move on from the whole debacle. Curiously, however, this move comes amidst yet another political crackdown throughout China, both regarding human rights and other political activism. 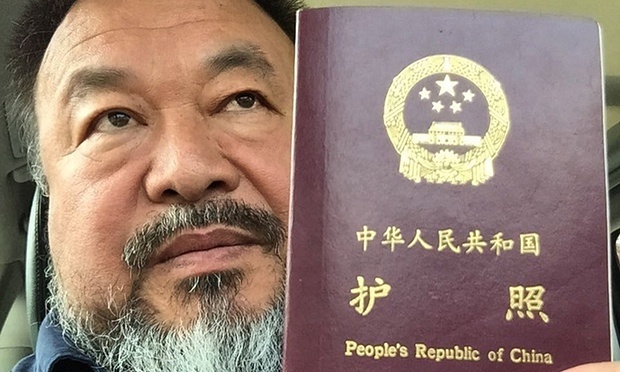 Unfortunately, as a prominent human rights attorney noted on Twitter, "“Congratulations Mr Ai Weiwei on getting your passport back. 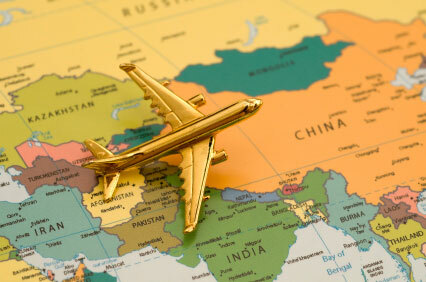 But having a passport doesn’t mean you can get out of China freely." 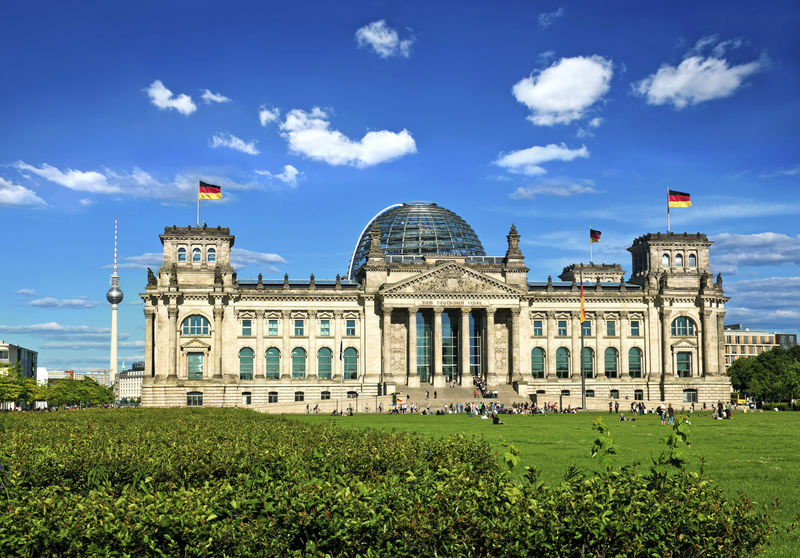 The Chinese government is notoriously strict about controlling the movements of its citizens in and out of the country, but it seems that Mr. Ai will likely be granted his wish. Congratulations! Artistic media cover almost the full range of materials available to humanity, but they do seem to usually be restricted to things which can be seen or heard. Any type of tangible material is inherently able to be either seen or touched by the "viewer" (for lack of a better term), but artists are not typically known for their conventional thinking. 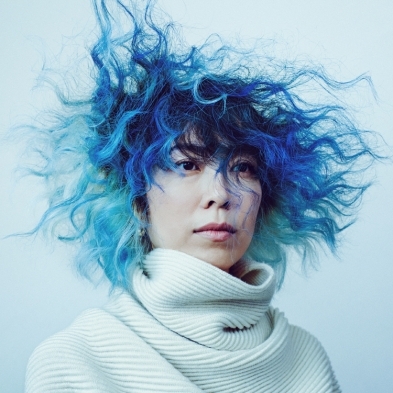 Anicka Yi is just such an artist, and she's rejected the typical materials that are part of the artist's toolkit, choosing instead to work primarily in the deliciously ephemeral medium of scents. Naturally, her works lean towards the conceptual, as is almost required when working with something so insubstantial, but her latest piece is almost closer to performance art than anything else. Entitled "7,070,430K of Digital Spit", it is located in the Kunsthalle Basel gallery, in the world-famous Basel, Switzerland, home of the Art Basel art fair that has recently taken the world by storm. There is a scent at the core of the piece, which has been infused throughout the pages of a book of transcribed conversations with Yi on a number of related topics, as well as essays by a number of other artists in the same vein. The scent was created specifically for the exhibit by Barnabe Fillion, entitled Aliens and Alzheimer's, and you'll have to swing by the exhibit yourself to really get a sense of how it smells. The book is suspended above a flame in a white-tiled alcove, slowly burning itself to ash, and dissipating the scent throughout the surrounding area. Speaking with Interview magazine recently, Yi best exemplified her views about the essential nature of olfactory experience: "I’ve always maintained that when you’re on death row, you should get last scents or last sounds, the same way you get last meals.” When asked what it was she'd actually like to smell, however, the results are not likely to be to everyone's taste: "Something unpopular, like a human armpit, or maybe scalp, mixed with something a little bit spicy." Probably not what we'd choose, but still a testament to her feeling. A number of her other pieces are also on display in the Kunsthalle Basel gallery, so if conceptual, ephemeral beauty is your particular cup of tea, be sure to swing by and check it out - it literally won't last forever. Friday 03rd July 2015Escapee Art the New Hot Ticket?